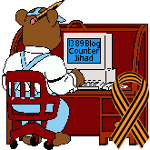 How YouTube works — 1389 Blog - Counterjihad! Our thanks to the staff at YouTube for giving us their time. YouTube’s Secret Algorithm: COMING SOON! Video by Sean Riley and Brady Haran. NOTE ONE: This was filmed at YouTube HQ in San Bruno. It was filmed before the much-discussed changes were made to YouTube comments section – we have not asked questions about that. NOTE TWO: This is a Computerphile video – it was NOT made by YouTube or reflect the company’s official views. Staff were kind enough to answer some of our questions (well, most of them), but they did not edit the video or “approve” it – any mistakes in the editing or animations are most likely our own. NOTE THREE: A video about the YouTube algorithm (how videos are recommended) is coming soon to Computerphile – so you really should subscribe. NOTE FOUR: The snowboarder is Sean! So how can a video get 2000 likes and only 300 views? Numberphile pays a visit to YouTube and learns the secret behind one of the website’s famous idiosyncrasies – why view counts on new videos often freeze at 301. Subscribe to numberphile for new videos about numbers every week.